The Hurricane Matthew continues on its slow but steady track across the Caribbean and how the climate change must have affected this type of phenomenon is still something many are wondering about it. [caption id="attachment_6468" align="aligncenter" width="500"] Hurricane Matthew. Photo Credit: Patch. The Hurricane is moving toward Haiti, Jamaica, and Cuba, experts caution that the storm's impact could be devastating. This fiercest Caribbean and category four's storm made landfall at the south-western tip in Haiti at about 12:00 GMT. The US National Hurricane Center said Haiti was "getting everything a major hurricane can throw at them". The damages have been serious with 40 inches (102cm) of rain and winds of 145 mph (230km/h). This storm is potentially triggering mudslides and flash floods. The one confirmed death in Haiti brings the total death toll from the storm to at least three. Also, one man died on Friday in Colombia. On September 28, one 16-year-old died in St Vincent and the Grenadines when the storm passed through the eastern Caribbean. Cuba has declared a hurricane alert for six eastern provinces. Cuban government is moving residents of low-lying areas and offshore islands into temporary shelters in government buildings. For the other part, Dominican Republic also has taken actions for the proximity of the Hurricane Matthew. 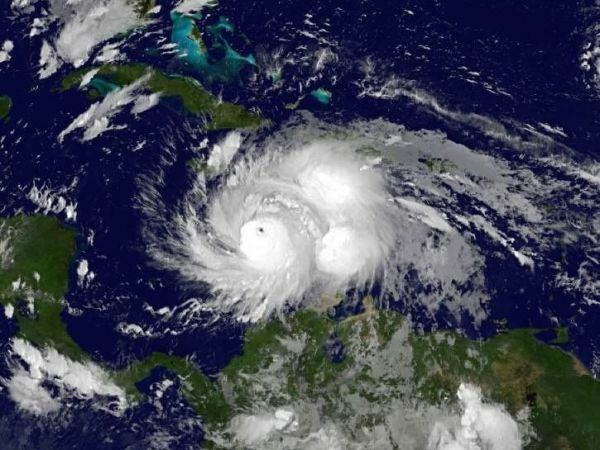 The Civil Defence director for the Dominican Republic said his country has already evacuated 13,000 people from high-risk areas ahead of the arrival of Hurricane Matthew. The academic community and climate scientists consider the link between climate change and storms. Since then, research has shown that climate change will increase the devastation caused by hurricanes as sea levels rise due to global warming. Some research has also suggested that climate change has increased the intensity and frequency of storms. The phenomenon of storm surge plays an essential role in the worsening effect of hurricanes. Academics thinks that occurs when waters rise above their normal level during a storm and wind and weather push that water into shore. They also affirm that thanks to global warming and rising sea levels, the potential for ocean water to be washed ashore by a storm surge have risen as well. In the past, Hurricane Katrina surprised disaster preparedness authorities when it made landfall 10 years ago. During Katrina, storm surge pushed ashore the water, causing levees to fail. The storm was recorded as a hurricane of category 1 or category 2 strength when it hit New Orléans. It was a weak storm for such a devastating hurricane. In the future, rising sea levels will only exacerbate the storm surge problem. The estimation of the rise of sea levels around the globe is of 1 to 3 feet by 2100 due to climate change. Also, researchers say that in places like New Orléans 1 foot of sea level rise may lead to a 3 or 4 feet storm surge rise. Scientists have come to a consensus about how storm surge will affect cities. The research on how climate change it affects hurricane strength and intensity remains unclear and no findings have been positive. Also, several peer-reviewed studies suggest that warmer weather in tropical oceans has increased the frequency of tropical storm activity, though not necessarily the intensity. Others suggest that climate change has made storms more intense. Still, other research has suggested that future storms will be both more frequent and more intense. Increased hurricane risk due to climate change presents a unique challenge for policy makers. While the federal government has promoted cuts to greenhouse gas emissions in hopes of slowing climate change, preparing for more dramatic storms requires local solutions. Even if countries around the world stem global warming, sea level rise will occur. There's also studies that links hundreds of deaths from the 2003 European heat wave to man-made climate change.